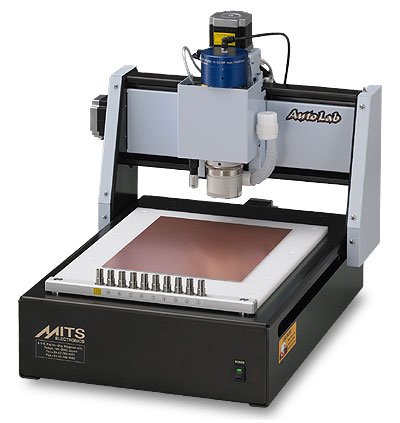 Affordable compact milling machines for pcb prototyping without chemicals. MITS offer several models to fit every budget and every requirement. Along with the chemical etching system, Bungard carries a wide range of products, including a through- hole plating system, a multilayer pressing machine, and accessories. 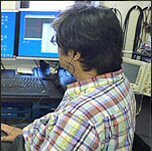 All the equipment, tools and accessories can be purchased here at PCBPROTOTYPING.COM. We give end users exactly what they want—unprecedented access to the latest PCB prototyping technologies. The finest PCB prototyping systems, along with the largest selection of standard & custom tools and FR4 copper laminates to best suit your needs. We are known not only for the quality of products that we sell, but also for the unparalleled support that we provide to our customers. We are here to serve you. You can purchase all the equipment, tools and accessories you see here. We accept PayPal and Purchase orders. I made the substrate for this by using MITS’ PCB Prototyping machine. Since it gives a good processing accuracy, I was able to put the substrate into the cabinet right after the work to test the performance. With this machine, I could work free from anxiety as it produced the board exactly like the drawing. I’m a big fan of MITS since my school days. MITS gives us good support and the quality we need. It provides good performance in the prototype level, and also can work with Automatic Tool Changer. It matches with the nature of the machine as we often want the circuit with copper layer on the board. We all have them. Does it do double side? Can I stop it? What if I loose power? How Big Is It? How fast can it go? We have the answers! Planning. Probably the most important in choosing the right equipment. We can help. Once you have chosen your system, we will be there to help you install it and implement it to its full potential. With a small learning curve, you will be up and running in no time. Make boards in just a few hours after powering up the system! The best in the business. We will guide you through the entire process weeks after your purchase. Tech support is always free, and we are here for you with advice to help you get the most out of your equipment.